Oprostite, ta vnos je na voljo samo v English, Українська a Русский. For the sake of viewer convenience, the content is shown below in one of the available alternative languages. You may click one of the links to switch the site language to another available language. How do I participate in a runday event? To run you simply need to register, print your QR code and turn up to an event. Visit the ‘How runday Works‘ page for more info. Races take place at 09:00 each Saturday. To participate as a volunteer, please email volunteers@runday.org. What is my QR code? Your QR code is used to identify you and record your race entry and finish time. After you have registered, you will find the QR code in your profile (it’s the big funny-looking black square). You need to print and bring this QR code to each race so we can record your race time. If you don’t have your QR code, you won’t get a time. Registered users can see their profile here: http://runday.org/profile/ . 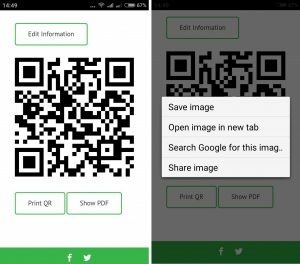 How save my QR code if I don't have a printer? Option 1. After clicking on “Print QR code” button on your profile page you’ll be redirected to a print page or dialogue box. 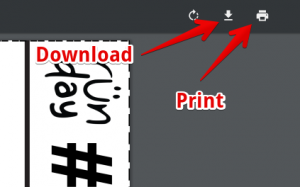 You should find an option to download or save the file as a .pdf document (or ‘print to file’). Select this option to download the file. Ask someone to print it for you. Option 2. If you are viewing the QR code on a smartphone you should be able to save the image to your phone. Bring this with you to the race. However, please do try to print your file as it allows us to easily scan you at the end of the run. Looking for an image saved on your smartphone take additional time and will complicate the work of our volunteers. Option 3. If you are unable to print or save your QR code yourself, please contact the event organiser prior to the race. He/she should be able to print it for you and you can collect it before the race. The contact details of the event organiser will be listed on the event page, but if you need any help you can always contact us and we will try to help. To participate in a runday race you must register on the runday website and print your QR code. You do not need to register for individual races. You can participate in any race (for free) using your existing QR code. There are no age restrictions for runners. As long as they are comfortable and OK with the 5km distance. Do I need to be an experienced runner? No. runday is for everyone. Experienced runners are welcome but runday events are open to everyone. The only requirement is that you are fit enough to cover 5km – even if you are walking by the end of the race. Our volunteers will be on-hand to support you and help new runners. Do I need to speak Russian, Ukrainian or Slovenian? The runs in Kyiv are all organised by people who speak English and all the volunteer jobs can be done without any special language skills – just a smile. If you want to volunteer for an event outside Kyiv, then we suggest you contact the local organisers. I’m sure they will be happy to find someone who speaks your language and who can explain how everything works. Their contact details will be available via the race info page or you can contact us and we will help. Can I run with a running pram (BOB stroller) or pushchair? You’re welcome to join and run with a pram – no problem at all. We usually run along a road or path, so pushing the pram wouldn’t be a problem and we have a ‘tail runner’ who can help you if you need any assistance. However please be aware that there may be some cars on the road as we run in public areas. If you are unsure about a specific course, please contact the event organiser – their details will be available via the race info page. When do we switch time from 9 am to 10 am? We run at 9:00 from April till the end of October. 8:30 – warm-up. Go to your profile and tick the ‘volunteer opt-in’. Email volunteer@runday.org with the subject “I want to volunteer”. I love the idea. Can I organise my own runday event. Yes. In fact, we want to see as many runday events as possible. Our goal is to make runday available to everyone, regardless of where they live in Ukraine, and to make this possible we need volunteers to organise and run local runday events. If you have a question that’s not answered above, please ask us using the form below or visit the contact page to connect with one of our teams.